I can’t say that I understand completely how it works. There are two diffraction gratings, a big piece of plastic with notches, and several diffuse layers. But we don’t need to drive it, we only need to make it go opaque or transparent as a whole. 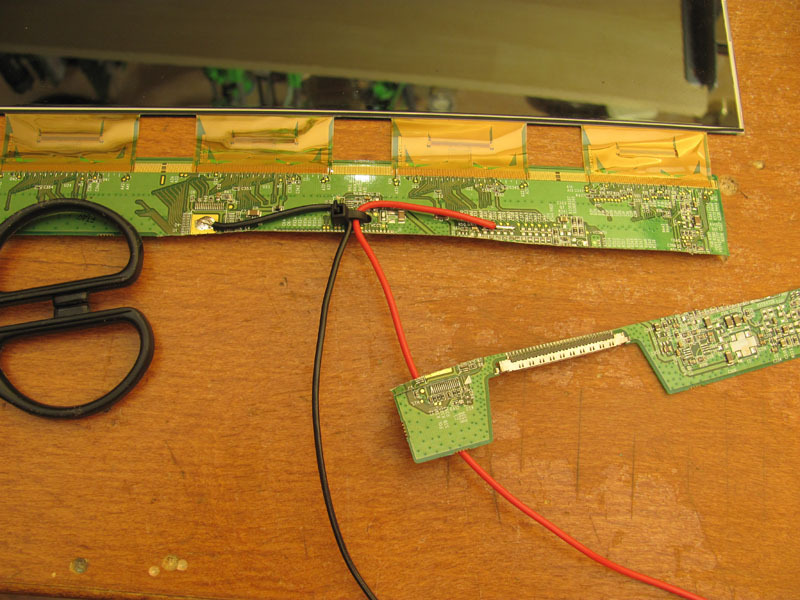 Take a 12V battery pack, connect the negative pole to the ground, attach a 10k resistor to the positive end and start poking at the suspected pins. Once the screen goes a bit darker, you’ve found your pin. It’s the only pin we need, so the rest we might as well cut off. Literally, since this removes all the chips and logic that would be consuming power otherwise. With the content removed, it no longer goes a little dim — it goes completely dark, since there is no longer a driver chip that fights you over what the voltage should be. And here is the finished proof-of-concept. It draws about 20 microamps, and if left disconnected it will gradually become transparent over a few minutes. 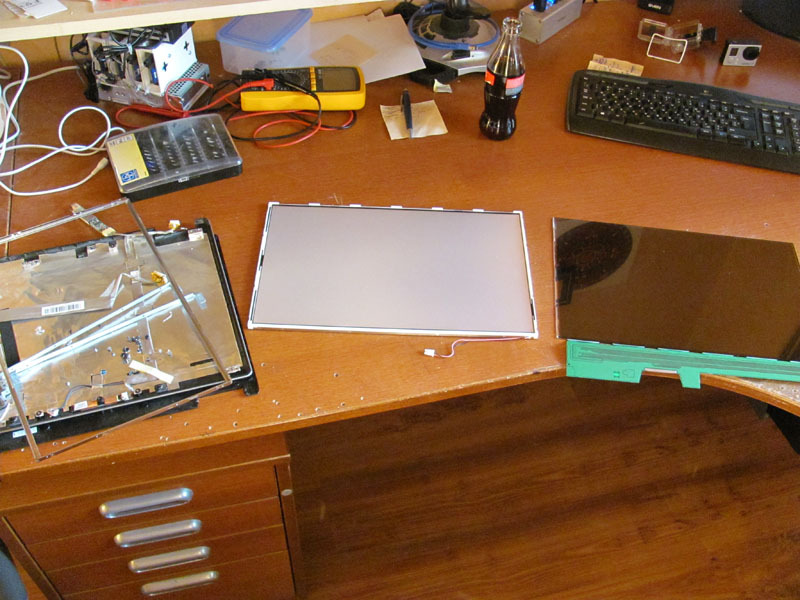 Really, most of the power in these panels is used in switching them and even more is used for the backlight. Here it is in action. 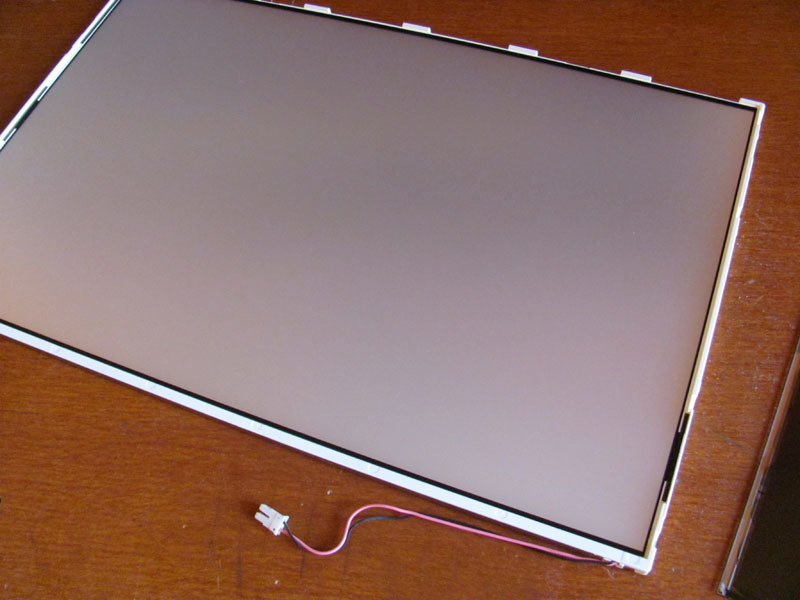 The transparency is varied by varying the voltage on the panel. In the end, the curtains are not perfect (and I have triangular windows…). There is quite a bit of distortion and the transparency isn’t that great. 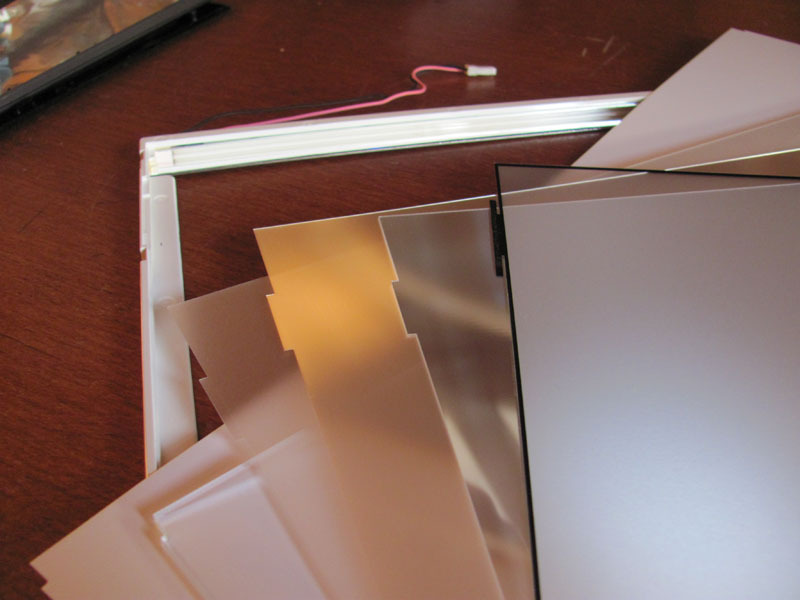 Anyway, I hope someone finds a good use for the idea — there are plenty of such panels in the garbage, and I can think of many non-curtain uses for a controlled-transparency glass panel. You need someone to help you google. 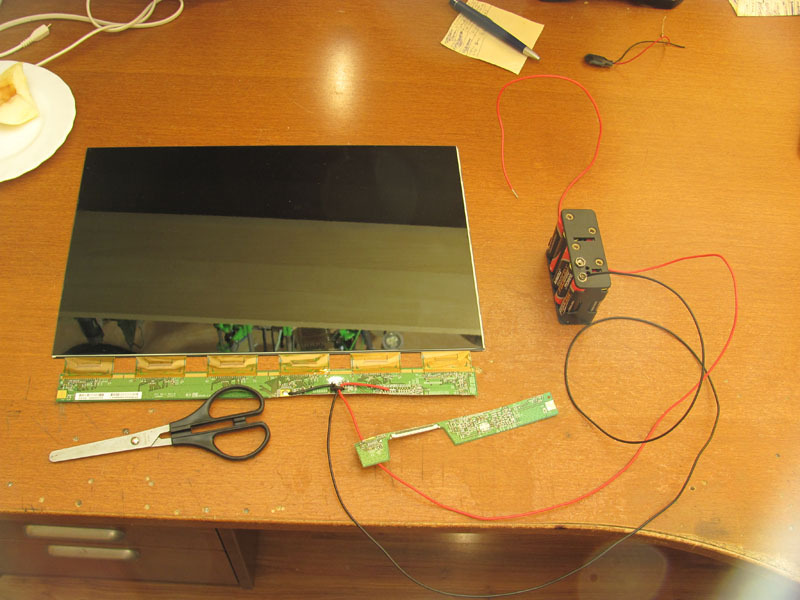 Google “electrochromatic glass” for the currently available versions that you’re looking for. One possible application might be counters/customer service windows that need to be closed for some backend work. Smart counters. Switch from transparent to opaque to some help message. This makes me think of the reverse problem of creating windows in apartments with bad views or too few windows. Simple camera hooked up to a faux-window showing a nice seaside view. I’ve seen such concepts for planes and spacecraft and a couple of architectural concepts, but I think prices are still too high for this to be a good business idea. I think lcd curtains will become viable at an even lower price points. Not quite throwaway prices yet. Singaporean here, I’ve never heard of this…? Which train stations do I have to go to to witness this? I think he’s seen something ‘like’ it. Visa, since October, have you seen any around? I’m interested to know. Thanks, Lisa. I applaud Artem for his ingenuity in using recycled parts to innovate. As the other commenters have noted, the general idea is not new. 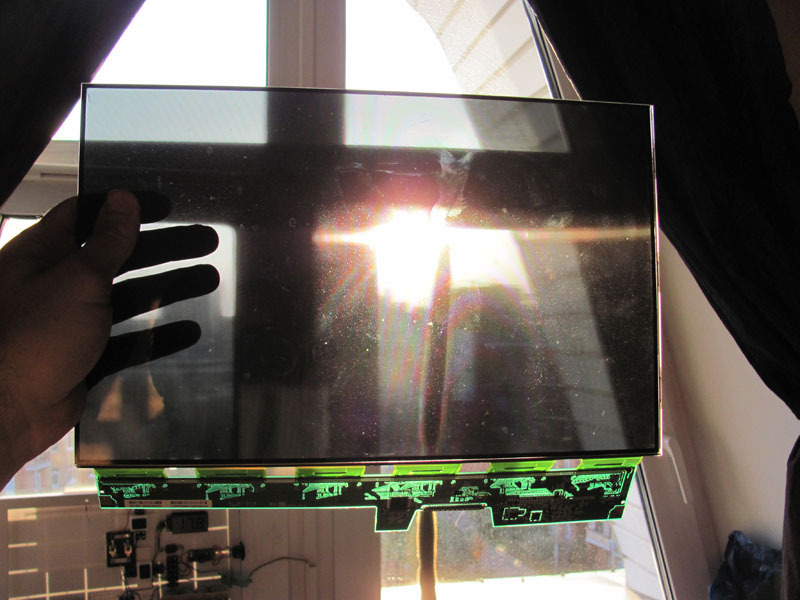 Cars had autodimming rearview mirrors since the late 1980s, using an electrochromic gel (http://www.autoevolution.com/news/dimming-mirrors-explained-8414.html). Boeing’s Dreamliner also recently implemented glass darkening (http://gizmodo.com/5829395/how-boeings-magical-787-dreamliner-windows-work), which is similar in spirit. 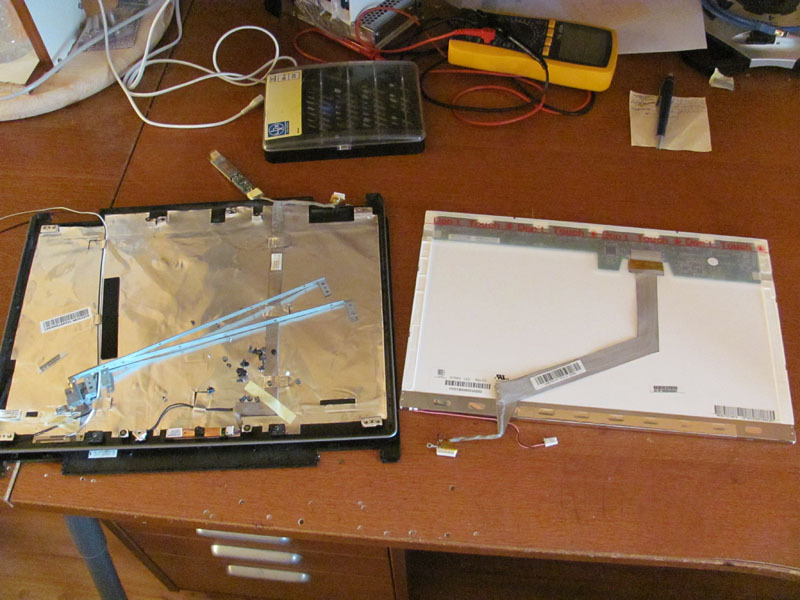 so would it be possible to wire it up so that you can also have a VGA imput into the screen?. So you can arrive at your desk whilst its almost transparent, then turn it on and have a VGA signal going through it displaying an image? I’m very interested in your posts; please keep up the good work!